The Grande Finale. Washing away in early morning rain. Giving in, giving up. Pacifying rain. Perhaps the last of its kind for the season. I listen to its placid song on the metal roof. Quieter now without the rustle of the leaves and their subtle refrain, now stripped from the trees and tangled in the dried brown grasses below. Fallen leaves. Bare trees standing static. Awaiting. Darker days, longer shadows, I prepare for the inevitable quieting of mountain and mind. Yesterday’s deep, rich, ripe orange. A juicy peach full of fresh life and sweet promises. 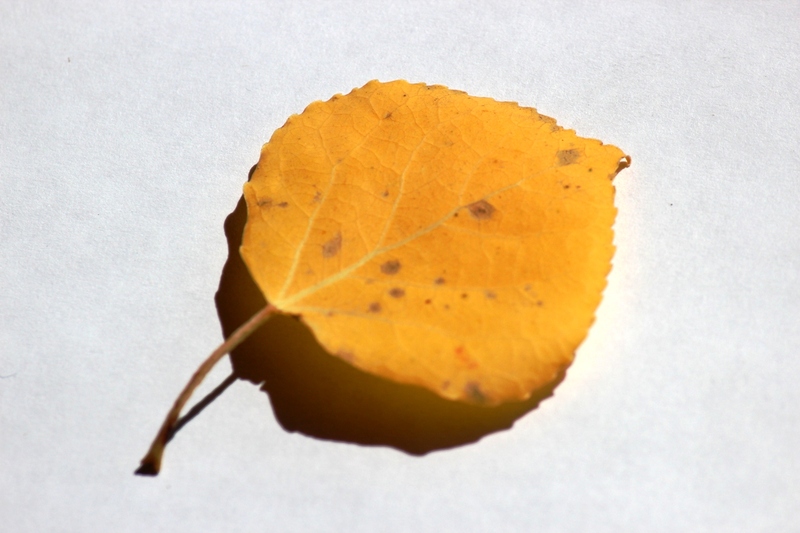 The color of the Aspen leaves before they let go. A hillside on fire now paling to grey. Where even the evergreens are no longer green. I will find a subtle beauty in this too, you know. Swollen with a passion as brilliant as the fiery hillside before me, then accepting expiring flames, blowing out. We are left stark, silent, solitary, each of us on our own paling hillside. ← To Beartown and Beyond! Ah, the falling aspen leaves. When I was there I felt like a bride of nature as it sprinkled aspen leaves (instead of rose petals) in my path. I can still hear that delicate but strong sound they make as they blow in the wind. Beautiful words and photos. 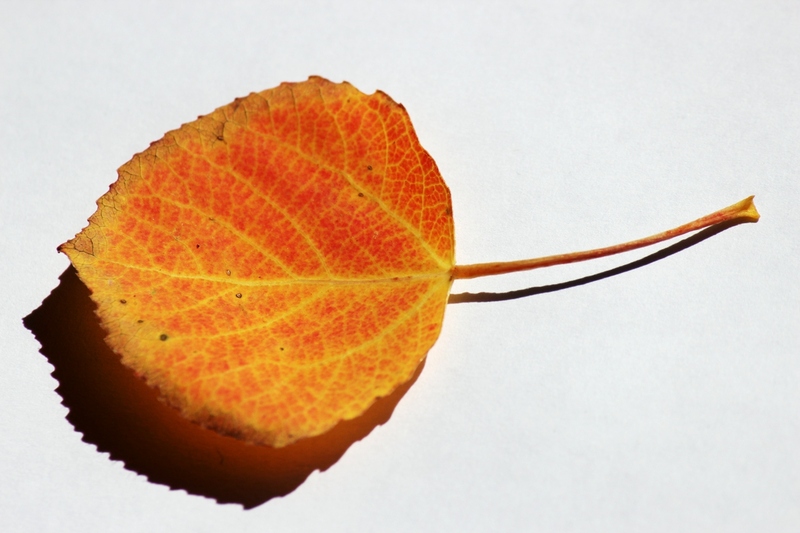 Isn’t fall grand…..
My favourite season, too. Today I wondered what is causing our Maple leaves to become polka-dotted. One younger maple had all the leaves still attached, turning gold with green polka-dots. If that happened before, I didn’t notice. Guess its time for some research. 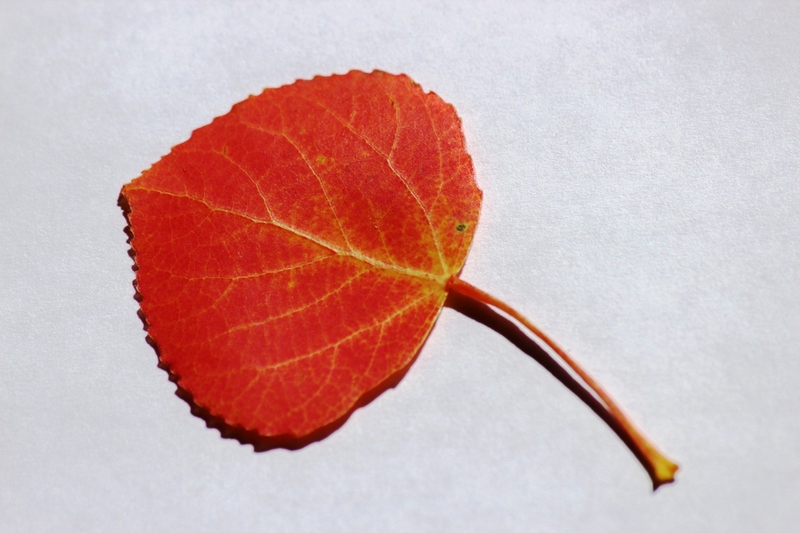 Karen: A poem shared by a guest here this time last year as those “rose petal” aspen leaves were showering: “Blue skies a plenty, Aspen confetti, Couldn’t be funner” Followed of course by a “Thank you, Bob, Gin & Gunnar.” I loved that! 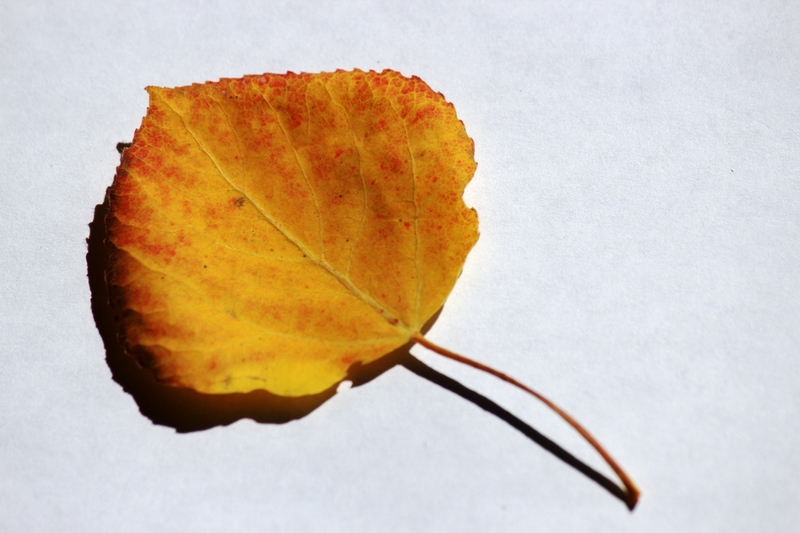 Soul Dipper: Polka dot leaves – Here with the aspen, Amy, spots come from rain drops. Or snow. Or I suppose even dew and frost. Magic of nature and words. I totally feel the autumn is here in LA, where its summer seems endless this year. My favorite time of year, loved this.